Skip the cooking this year and make your way to one of our favorite restaurants creating a special menu this Thanksgiving Day, Thursday, November 23, 2017. Whether you want to start a new tradition or have a stress-free turkey day, let the restaurants do all the work with plenty to choose from including, traditional Thanksgiving fixings, buffets, a Brazilian style brunch and more. 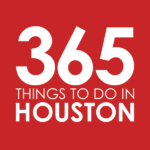 And if you’re looking to get out and experience the best of Houston before or after your feast, check out our very favorite things to do in Houston on Thanksgiving Eve and Thanksgiving Day in 2017. Thanksgiving Brunch at Américas – Enjoy some Latin Brunch classics as well as some traditional Thanksgiving favorites at Américas restaurant in River Oaks. Menu items vary in price. Each guest will receive a $20 dining certificate for future use. 10am to 3pm. Thanksgiving Brunch at Churrascos River Oaks – Churrascos in River Oaks, a restaurant that specializes in Brazilian cuisine, hosts a brunch with their classic menu as well as a few Thanksgiving favorites. Menu items vary in price. Each guest will receive a $20 dining certificate for future use. 10am to 3pm. Thanksgiving Buffet at Downtown Aquarium – Bring the whole family to feast on a buffet of carved turkey, cornbread dressing, house-made cranberry sauce and more at the Downtown Aquarium. This buffet will also include a buy one all-day Adventure Pass and get one free special. Tickets are $39.99 for adults; $34.99 for seniors; $19.99 for kids ages 3 to 10. 10:30am to 3pm. Thanksgiving Brunch at Hotel Galvez – The Hotel Galvez and Spa in Galveston host their special holiday brunch featuring traditional Thanksgiving entrees. Advance reservations are required and must be made directly with the hotel. 10:30am to 6:30pm. Thanksgiving Luncheon at Bistro Provence – Have a 3-course lunch over at the French restaurant, Bistro Provence on the Westside. Some menu items will include pumpkin soup, grilled salmon, turkey, pumpkin pie and more. A kids menu will also be available. Tickets are $33 for adults and $15 for kids under 12. 11am to 2:30pm. Thanksgiving at Brennan’s of Houston – Brennan’s of Houston will feature traditional holiday classics with a Texas-Creole twist for their Thanksgiving meal. Tickets are $60 per person and reservations are required. 11am to 7pm. Thanksgiving at Steak 48 – In addition to their full menu, Steak 48 will also be offering a holiday feast including roasted turkey, whipped truffle potatoes, cranberry sauce as well as a pumpkin whoopie pie for Thanksgiving. You must make a reservation for this event. 11am to 9pm. Thanksgiving Dinner at La Table – Gather around the table on Thanksgiving day and enjoy a family style dinner at La Table, a French restaurant in the Post Oak area. Menu items prices vary. $3 per guest will be donated to Hospitality for Houston in efforts to help those affected by Hurricane Harvey. 11:30am to 8pm. Thanksgiving Day Brunch at Chama Gaucha Brazilian Steakhouse – Delight in some delicious Brazilian cuisine for Thanksgiving including a variety of succulent flame-roasted meats like lamb, pork, chicken, beef, and shrimp on skewers at Chama Gaucha Brazilian Steakhouse. Cost of the brunch is $40.50; $25.50 for the salad bar only; $26.50 for kids ages 8 to 11; and $12.50 for kids ages 4 to 7. 11:30am to 4pm. Turkey Dinner at Down the Street – The patio bar and restaurant Down the Street hosts a Turkey Dinner for Thanksgiving featuring turkey plates with traditional fixings as well as pie for dessert. Menu items vary in price. 6pm to midnight.